The Intermarque Car Show, held for the past few years in Osseo, MN… and a show that’s been going on for more than 20 years at some venue around the Twin Cities, is, HANDS DOWN, one of my favorites of the year. This year the big day was Saturday, May 16th. 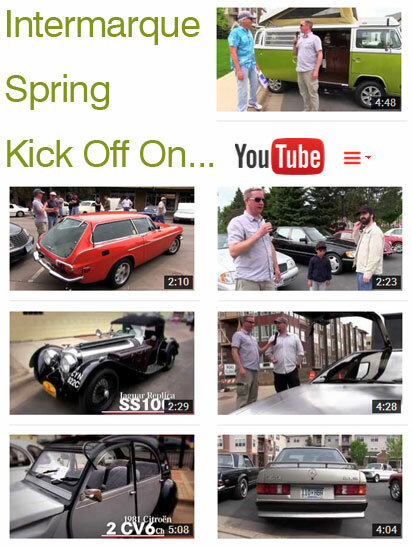 I tried something new this year… in an effort to share some of the fun cars that show up to the event with friends around the country, and the world, that probably won’t ever make it to the show, I brought a friend a long with a video camera. We talked to some folks who were happy to share the stories of their cars. These are just some of the videos, uploaded to the DaveKnowsCars YouTube Channel, we shot that day, some are still being edited, so check the YouTube channel again soon for more. (scroll below the graphic for more). The great thing about this show is that it’s so laid back and the collection of cars is about as eclectic as yo can imagine. This year there were two Volvo 544s parked next to each other, a Citroen Mehari, a Suffolk Jaguar SS100, more MGs than you could shake a stick at (including a couple of pre-War models). All the clubs come out and park together and mingle… it’s what the collector car hobby is all about. You bring what you’ve got and nobody cares whether your car costs a million dollars or fifteen hundred dollars. Intermarque is a multi-marque organization that incorporates all the different vintage, foreign car clubs in the area in an effort to consolidate event information and car activites… so everyone knows what’s happening inside our little collector car world. Brian Cornell and Andy Lindberg spend a lot of time each month putting together a great online newsletter ‘The Intermarque Monthly” available for free download at Intermarque.org. 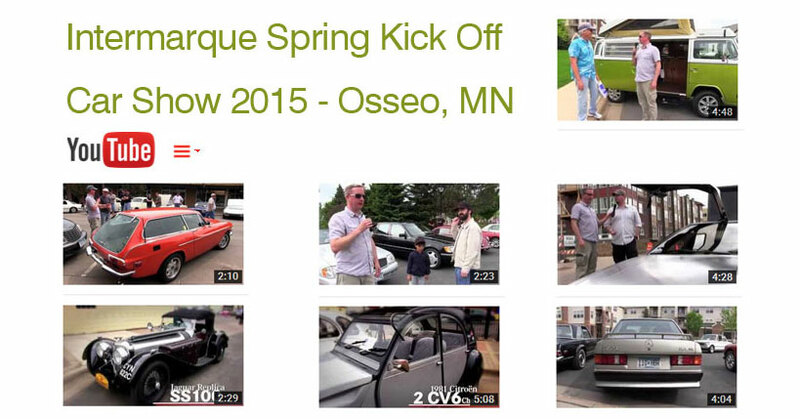 A big thank you needs to go out to Brian Cornell, John Engstrom and all the Intermarque Volunteers that made this show happen, it’s truly a gem of a show and we’re lucky to have such a rabid group of enthusiasts that make it happen, year after year.